You will be sure to enjoy this Detroit Basketball Back To Back Champs Caricature T Shirt which is available on a White 100% Cotton Tee. 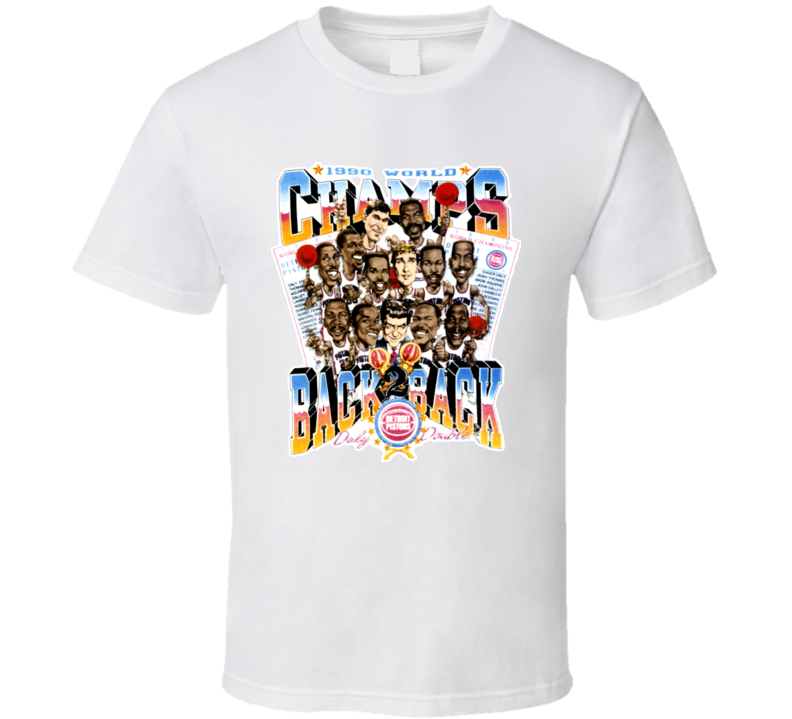 The Detroit Basketball Back To Back Champs Caricature T Shirt is available in youth, kids and adult sizes which you can select from the shirt size drop down below. T-Shirt is shipped out via USPS first class mail with tracking number. Buyers are responsible for returning any shirts they are defective in original packaging and in new condition. You will be refunded 100% for the tshirt (excluding shipping costs). We can only offer a 100% refund for defective orders because we are a custom order shop. We can take back shirts that do not fit or you simply want to return with a $7 restocking fee. Contact caricaturetshirts@gmail.com if you would like to return your order.